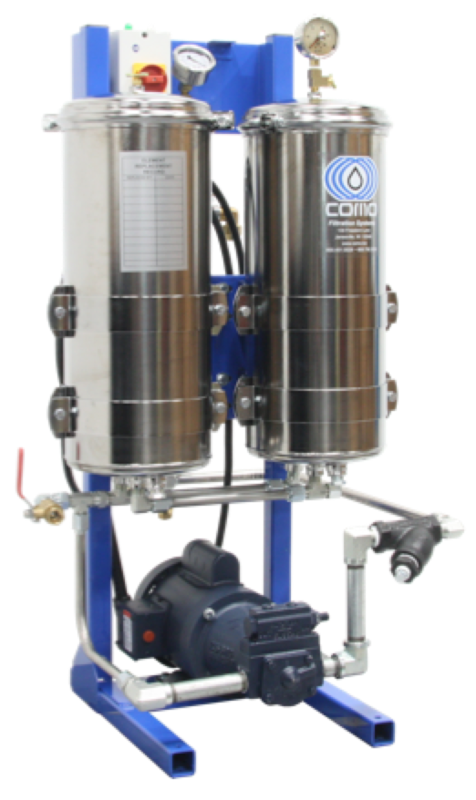 Product image of our Case Studies - Oil Filtration. With around 1400 gallons of oil, it would have cost them over $11,000 to change the oil at the time. 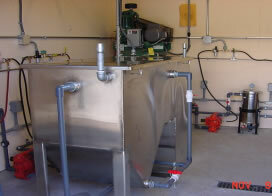 Our customer wanted to both extend the life of the oil and protect their equipment. 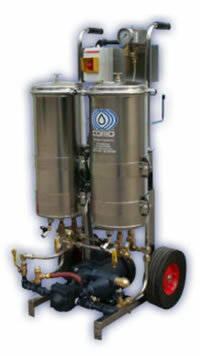 Solution: They started filtering their oil through our Como Model 120/5 Portable Oil Filtration cart. After filtration, oil analysis reports show that the performance criteria specified by the client had been exceeded. 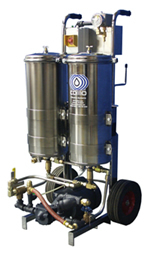 An ISO 15/14/11 Cleanliness Code is now consistently achieved through filtration with our Model 120 and their oil is dry. 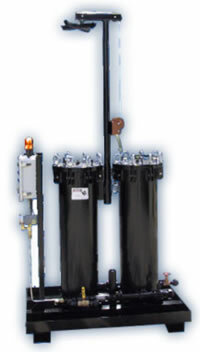 Filtration extended the hydraulic oil life to 3X its normal life so the Model 120/5 paid for itself within three months! This customer liked the results so much they bought a second Model 120!